Google tried and failed to buy its way into the social ad business a couple months ago. This time, it got it done: The ad giant has picked up Wildfire, which helps marketers manage their presence on social networks like Facebook and Twitter. 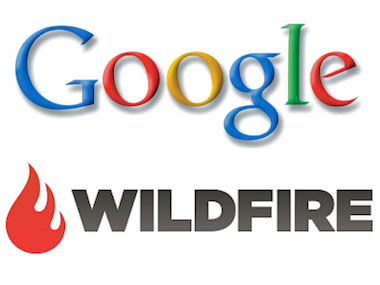 The logic here is straightforward: Google will integrate Wildfire into its growing display advertising “stack,” which is anchored by DoubleClick and Google’s AdX exchange. The idea is to convince marketers that they can buy both social ads and conventional display ads from Google, even if they want to buy them on competing platforms like Facebook. Buddy passed on Google at least in part because the company was concerned about getting the deal through antitrust regulators. And like just about every deal Google does these days, it wouldn’t be surprising if the Feds took a look. But since social ads are one of the few categories where Larry Page and company are far behind the competition, the Google guys seem confident that this one won’t be a problem. But my hunch is that even if Sheryl Sandberg wanted to shut the door on her old company, she wouldn’t do it for fear of creating her own regulatory problems. Which means the only question is whether Facebook will be an enthusiastic Wildfire partner, a heel-dragging partner, or somewhere in between.